An architect or engineer that is trying to migrate from project centered software like Revit, ArchiCAD, VectorWorks, and others will most likely miss BIM capabilities. Whenever I have the opportunity to help them in the process, one of the first questions they ask me is “Does Blender support BIM?”. Unfortunately, Blender doesn't have BIM capabilities since it is most focused on visualization and a more artistic approach. Even with not a single option related to BIM, we can still use resources from the BIM ecosystem. Do you want to download some furniture, objects and building parts? Take a look at the NBS National BIM Library that has lots of objects from manufacturers based in the United Kingdom. If you want to get furniture objects or parts to compose architectural projects, and don't mind having to adapt some of the objects for non-UK standards you will find lots of options. 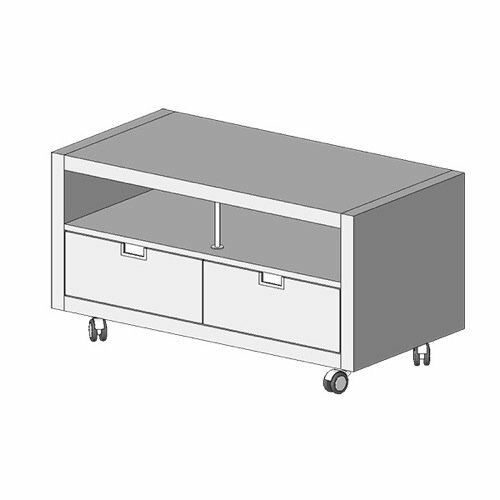 All furniture models at NBS National BIM Library are free to download. At this point, you probably are asking yourself how Blender could use BIM objects if it doesn't support BIM? With the utilization of an Add-on, we can indeed import BIM data to Blender, and convert it to polygon based objects. Look for the IFC files at the library, and you will find something that works like DXF about DWG. It is not the same regarding the application, but you can think of IFC files as a cross-platform format. To import IFC files to Blender, you can use this Add-on that will include an option to get such files to Blender. You just got yourself a lot more furniture objects to use for architectural visualization. Is it possible to export IFC files from Blender? Unfortunately, this Add-on can't export such data from Blender. But, if you are looking for an open source solution that can indeed export IFC files, you should take a closer look to FreeCAD.